A man’s arrest and a grand larceny were among the incidents reported to campus police in recent weeks. 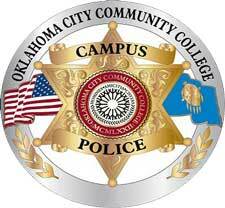 On Dec.17, OCCC police officers assisted the Oklahoma City Police Department in locating a 38 -year old man who was walking with his four-year-old child on campus. The suspect whose name is redacted, was involved in a domestic disagreement with his wife, according to the report. The man was identified through surveillance footage entering the campus with his son around 3:27 p.m. by officer Van Ninh. After that, Ninh immediately reported this to the OCPD dispatcher and two OCPD officers were sent to enter the Main Building to look for the suspect. Acting Police Sergeant Jeremy Bohannon reported when he walked out of the Campus Police office in order to help the two OCPD officers look for the suspect he saw the suspect was arrested and being walked away by one of the OCPD officers. Bohannon and the other officer walked the young son to the police car where his mother was waiting. The next day, Dec. 18, stolen property was reported by Student Life Director Erin Logan. According to officer David Madden, Logan said some things which she placed in her desk the day before, Dec.17, including a $10 amazon gift card, Christmas cookies, and all of her change, had disappeared when she came back the next day. Based on reviews from the surveillance camera, campus police identified a custodial employee entering Logan’s office that night. Campus police are working with WFF currently to identify the suspect.